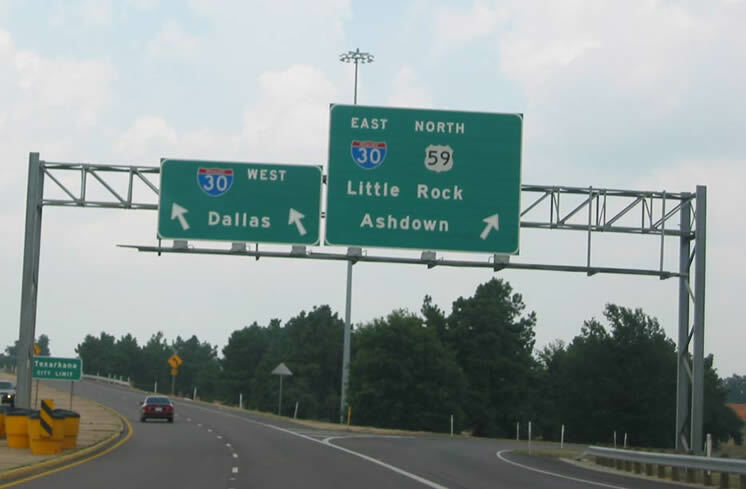 E. North bound on US59 approaching IH30. F. North bound on US59 at IH30. 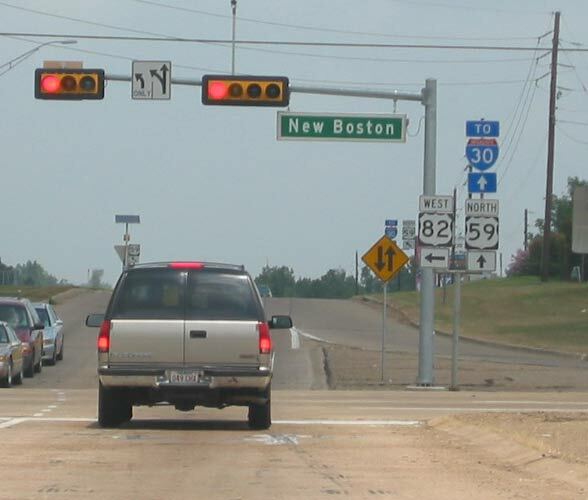 G. North bound on US59 at US82. 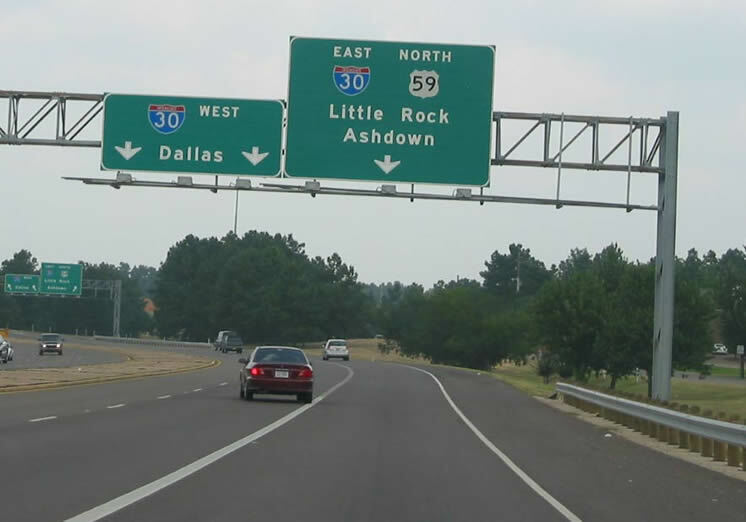 H. North bound on US59 approaching Westlawn Drive. J. 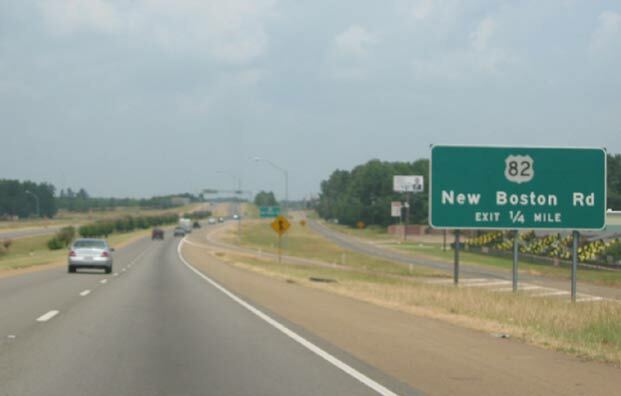 A look at a sign for the future IH69. 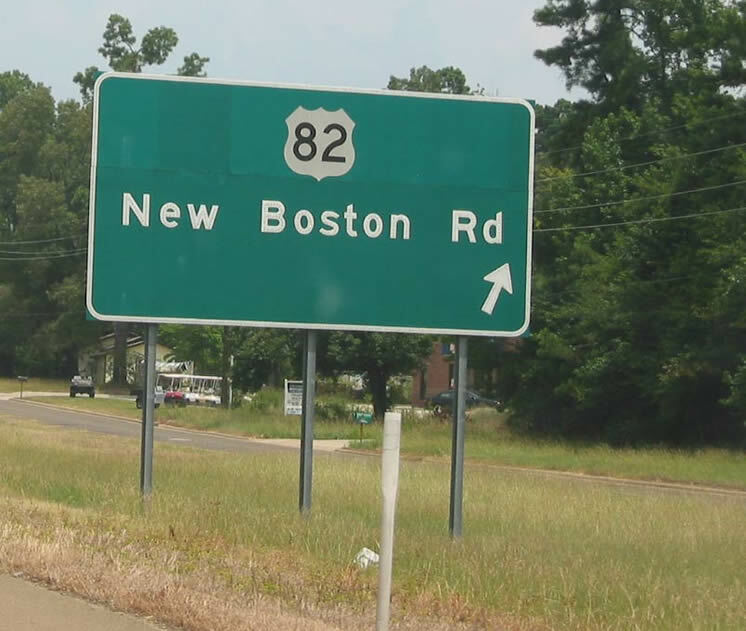 K. Highway sign for the US82 (New Boston Road) exit. L. A look from the Westham Drive overpass.